There are people who can do everything perfectly in their life and still develop dementia. Genetics and outside circumstances sometimes just predetermine a person’s fate. However, this is not a reason to live life as if there is no control over it. People can take comfort and hope from the ways to prevent getting this dreaded condition. Those in home senior care can and should be encouraged to follow these tips for a better life at any age for a reduced risk for developing Alzheimer’s or dementia. Dementia is all in the head, so steps need to be taken to save the cells within it. People who drink often shrink their brain tissue, similar to a person in home health services who actually has Alzheimer’s. The medical community and those in a home health service have also seen a strong correlation between anti-inflammatories and the prevention of Alzheimer’s. Prolonged inflammation of the brain is known or suspected to cause different diseases from Parkinson’s to depression. Typically a person’s brain is inflamed due to either bacterial or viral infection. Therefore, doses of on-steroidal anti-inflammatory drugs, like prescription Anaprox or even over-the-counter Advil may help reduce the odds of an in home health care senior from getting this disease. This tip is not just for physical exercise, additionally for brain exercises. No matter a person’s feelings toward these activities, this needs to be made a habit in at home senior care. Any exercise that gets the blood going increases the flow to the brain stem and stimulate activity. Completing crossword and jigsaw puzzles or any sort of mental puzzle gives increases decision-making skills and keeps the brain active, focused and energized. Reading, from a novel to a magazine, can provide stimulation. 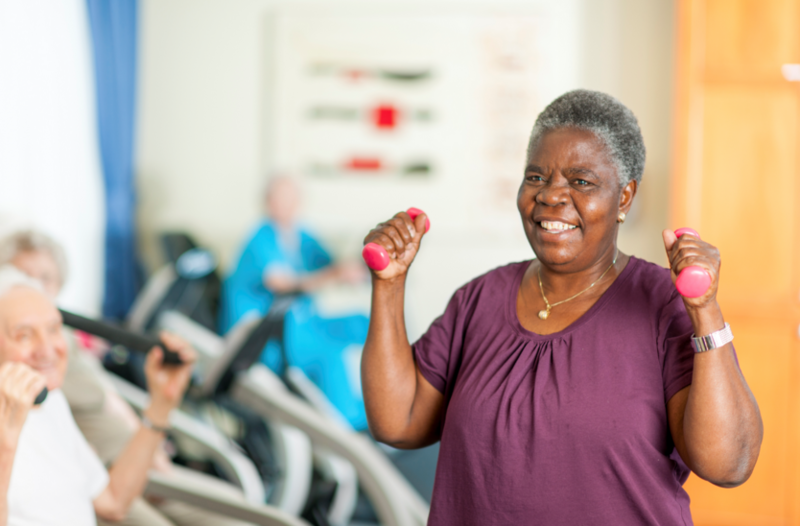 Caregivers in home health services need to work with a senior’s preferences to find the most efficient ways to increase activity for overall well-being. Furthermore, physical head trauma can be a contributing cause as well to dementia. While the average person doesn’t have to typically worry about hazardous conditions on a daily basis, even something as simple as installing a shower bar or additional railings for a stairwell may go a long way to prevent injury. In addition, a senior in home care should wear shoes with ankle support and strong tread to both give the wearer more confidence as they walk and save from dangerous falls. Doctors do not think it’s a coincidence that those in an aged care service who have a healthy social life and diet tend to avoid being affected by Alzheimer’s. Anyone in care services has a lot to consider when attempting to create the best environment for those entrusted to them, but it’s not impossible to have people step out of their comfort zone. More protein, complex carbohydrates and less fat can also help combat bodily risks while social cliques and group efforts can stimulate mental health for an additional opportunity to ward off the disease for those receiving in home senior care. Select Home Care in Westlake Village is a leader in offering premier 24 hour care, hospice care, dementia home care, and companionship cares for seniors. Trusted by healthcare professionals, Select Home Care serves a vital role in helping people live more independent lives outside of institutions and keeping them closer to their families. For more information on tips on lifestyle changes that can prevent dementia or about Select Home Care’s senior care services please call 800-993-1657 or visit selecthomecare.com.